Purpose here is to remember the life and work of Prof. Rabie E. Abdel-Halim Dr. Rabie passed away suddenly April 15, 2015. Dr. Rabie, who was a prolific amateur historian of medicine, was also an emeritus professor of urology from the Department of Urology at King Saud University Medical College, Riyadh, Saudi Arabia. His main urological research interest was urinary stone disease, about which he published a book: Urolithiasis in the Western Region of Saudi Arabia: A Clinical, Biochemical and Epidemiological Study (King Abdulaziz City for Science and Technology, 1996). In his later years he was invited to Al-Faisal University, Riyadh, as a visiting professor, where he continued his research and taught courses on the History of Islamic Science, and Islamic Medical Ethics. What is even more fascinating to me personally is that he created a course on Arabic Medical Poetry, intended for future programs in medical humanities. (I would love to see his syllabus!) A multi-faceted person, Prof. Rabie E. Abdel-Halim was also a published poet in Arabic. That last achievement I especially admire, as an amateur poet myself. He was, moreover, a remarkable and accomplished historian of medicine. 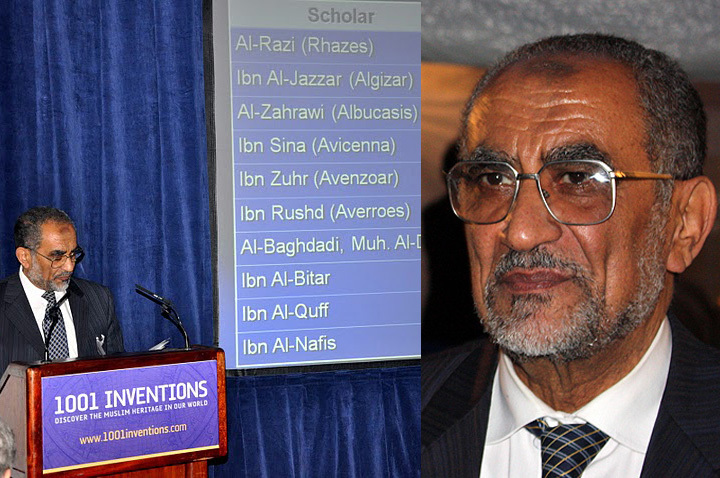 In 2005 he was honored by the Kuwait Foundation for Advancement of Sciences, who awarded him the Kuwait Prize for his contributions to history of medicine. Since May 2009 until his death he was an associate member of the Foundation for Science Technology and Civilisation, based in Manchester, UK. He will be greatly missed by all who knew him, but especially by his colleagues in the history of Islamic medicine. It was my privilege to become acquainted with him at a conference in Manchester in April of 2015. Though the conference lasted only three days, that was enough time for me to develop a warm affection for him. He reminded me of my grandfather, who also was a physician, whom I admired, and of my father who was about the same age, who recently passed away this last summer. The last time I saw Dr Rabie, we were descending some stairs, and I offered my arm for him to grasp for his stability. I will never forget that small bit of human touch and warmth. Even though he was elderly, he had a strong spirit. What also impressed me was: here we were, two men from opposite parts of the world, separated by a generation, and one a Muslim, the other a Mormon Christian, but we shared an interest in medieval Islamic medicine. But we also shared something else: a deep and abiding faith in God, and a commitment to acquiring knowledge and understanding as part of our respective religious traditions. Most importantly, however, inspired by our respective faith traditions, we were both committed to sharing this knowledge with others. When I learned of his passing only a few days later, I wept. I know his life was filled with good deeds and creative activity, but I had personally missed out on what could have been a rewarding and deep association. I’ll always remember his warm spirit and intelligent expression, and I’ll cherish the memory of him on my arm, descending those stairs. It was a great privilege to be asked to review his magnum opus history of Islamic medicine, although unfortunate that I was unable to discuss it with him. Dr Rabie completed this great work the night before he died. Acknowledging that the science of today is “a joint global contribution” of many civilizations, Dr. Rabie focuses on one of the most creative periods in the history of this global science, namely, that of Islamic civilization. 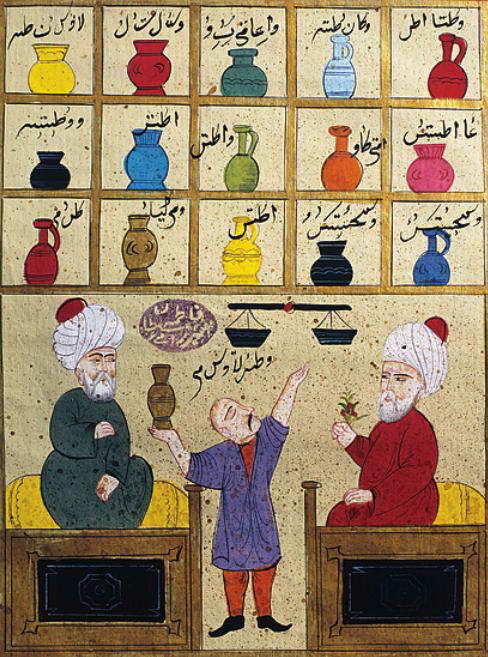 He finds that the most important factor in the contribution of Islam was what he calls “The spirit of scientific inquiry.” The spirit of scientific inquiry is an attitude and orientation toward nature that affects the way of handling empirical data, and fosters a community of shared practices, beliefs, and criteria for scientists to assess each another’s work. Dr. Rabie finds the ultimate source of this spirit in the Qur’an and the Sunnah of the Prophet. Islamic science began with the divine command to search for knowledge that became ingrained in the Muslim heart, the command to use the divine gift of reason to contemplate the world and the cosmos, and to avoid intellectual taqlid, or blind imitation of past authorities. Islamic jurisprudence is the central Islamic discipline where this rational, scientific spirit was further developed. The importance of gathering corroborating evidence and testimony, as well as recognizing the inherent uncertainties within all intellectual constructs, were at work in the source methodology of Islamic fiqh, which sought to discover God’s law for specific situations. Even the notion of natural law owes something to the Islamic notion of nature having its own God-given sunnah, or habitual patterns of behavior, which in the simplest case is understood as God’s own sunnah as he works His will through the natural world. Dr. Rabie also taught that Islamic society fostered the brotherhood of intellectuals through the exercise of reason, a fraternity that transcended ethnic and religious lines, which came about as a result of this spirit of scientific inquiry. As Aristotle would say: for Islamic civilization, reason was a good in itself, with applications in all fields. Read! In the name of thy Lord and Cherisher, Who created man out of a (mere) clot of congealed blood. Read! and thy Lord is Most Bountiful, He Who taught (the use of) the Pen, Taught man that which he knew not” (Qur’an, Sura 96, verses 1-50). The emphasis of the Divine Word here is on reading and writing, the tools through which the new revelation of Islam would be fulfilled. There are many other verses in the Qur’an that command mankind to seek and acquire knowledge, and to not be content with what one thinks one already knows, but to seek more knowledge and understanding. Knowledge is central to the Qur’anic revelation, and is contrasted with the jahiliyya “ignorance” that prevailed before. Everything in the natural world is encompassed by this command. The signs, of course, point to something (as all signs do), namely, to God’s activity in the cosmos. The true believer sees the natural world as “an ongoing epiphany”, i.e. a continuous revelation of divine activity. Dr. Rabie calls the search for truth the “method of Islam”, which is an intriguing phrase because of its resonance with the ancient Greek philosophical schools, each with their methods for living a complete life in accord with what the respective school valued most. Specific to medicine is the ethical dimension of Islam, a subject that has been discussed in this conference already (by Dr Wael Kaawach “Building a Culture of Mercy”), who spoke of mercy as a central ethical ideal of Islam. The human body and the quality of the Muslims’ lives are important in Islam. So, medicine, which is concerned with maintaining and restoring the well-being of the body and its health—to paraphrase Ibn Sina’s famous Introduction to medicine in his Canon of Medicine, as well as with the relief of suffering, these are virtuous acts of worship and are essential religious duties. Furthermore, the Qur’an chastises those who insist on following old ways over discovering and adopting new knowledge. Dr Rabie sees this as reflected in the well-known critical attitude of Muslim scientists, such as al-Razi and Ibn al-Haytham, toward established authorities, like Galen and Ptolemy. The seeker after truth must question everything said by these authorities and test it against his own firsthand experience. He must “make himself the enemy of all he reads”, in the words of Ibn al-Haytham. Figure 4. 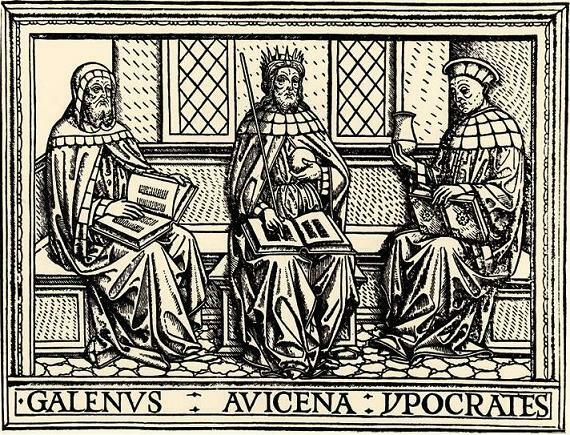 Galen, Ibn Sina (Avecena), and Hippocrates, the three authorities on medical theory and practice in a woodcut from an early 15th-century Latin medical book. (Source). Dr Rabie observes the curious fact that many of the intellectual tools later applied to the sciences were first developed within and by the thinkers who created the religious sciences of Islam. He is careful not to suggest that this means that the religious scholars were all therefore naturally inclined to accept the sciences, which they were not, as the well-known historical conflicts between some scientists and some more conservative ulamā’ show. However, the mere fact that so many of the greatest scientific thinkers in Islam were also known as religious scholars strongly indicates that there was an essential affinity between these two spheres of intellectual activity. This fact refutes the commonly held view that science and religion are and always will be essentially incompatible and always in conflict with each other, a view that has, unfortunately, prevailed in the West and has retarded scholarship. Within the Golden Age of Islamic science, however, it was not the case that science and religion were essentially incompatible and inescapably in conflict with one another. Rather, there eventually developed a harmony between them, which could serve as a model for our present age. Aristotle has shown how all scientific activity must rest on a metaphysics which, by its very nature is speculative, since it deals with things that are unobservable, things that pre-condition what we do observe in the natural world. And so, a metaphysics that is given by revelation may be a superior place for science to begin than one derived from human wisdom alone, the latter being the preferred perspective in secular science today. In effect, Dr. Rabie describes the setting up of an intellectual milieu within a society that was organized around Islamic ideals, in which the sciences could flourish, and scientific knowledge could advance. This milieu is an entire cosmology, and a complete existential way of being for a Muslim seeker after truth. This milieu rests on the central imperative that God-given rationality is to be used not only to further the cause of Islam, which is also the cause of mankind generally, but also that knowledge, like reason, is a universal good, and knows no ethnic, sectarian, or religious boundaries. Moreover, Islam is essentially a culture of healing, a religious tradition that has had a deep affinity with medicine from its beginning. The relationship of Islam and healing, as Dr. Rabie taught, is that Islam is concerned with the two-fold healing of the body and mind of a person. That Muslim medical thinkers were concerned to heal the body is obvious from the contributions to medicine that we have been discussing at this Congress. The second part, namely, the healing of the mind, may be less clear to us moderns. Islam aims to heal people’s minds from ignorance or lack of understanding of the pure principles of Islam, which are the essential principles of human existence. (Remember that the Pre-Islamic period in Arabia is called jahiliyya, “[The era of] ignorance”). For some Muslim thinkers, this healing of the minds or psyches involves a systematic organization of the whole body of rational thought, as Ibn Sina sought to do in his Kitāb al-Shifā’, a vast encyclopedia of knowledge. Dr. Rabie is correct, I think, that there never was a religion and a culture more compatible with the investigation of nature and the activity of science than Islam. The rapid assimilation of the essential intellectual tools from other traditions into Abbasid culture, which parallels the rapid military conquests of the Umayyads, is proof enough of that. And then there was the flowering of the sciences under the auspices of Islamic civilization, when thinkers creatively shaped the ancient tools into something new and original. And space was opened for Christians and Jews to participate in these efforts, because reason as an activity transcends the boundaries of culture, religion, and language. The Baghdad Renaissance of the 10th Century under Buyid rule is the first major demonstration of this principle. 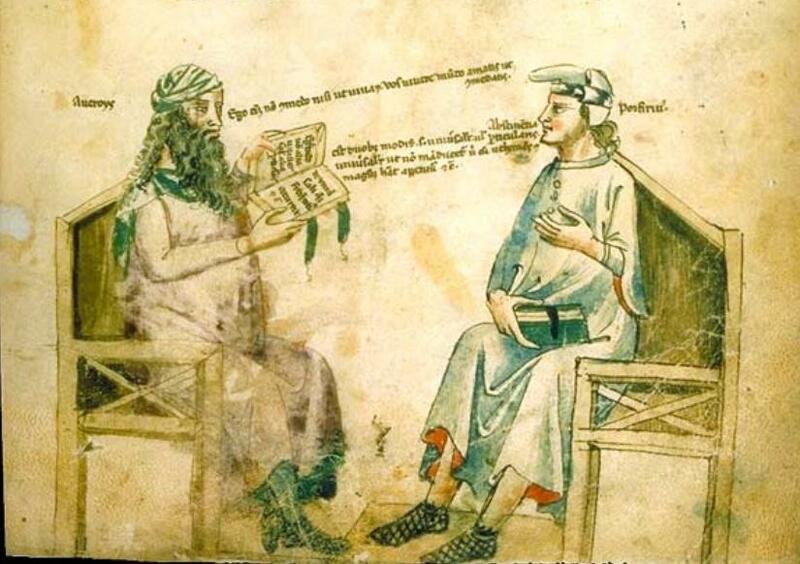 At that point, the fruits of the first several generations of translations were being studied by Muslims, Jews, and Christians, and thinkers from each of these groups were discussing and arguing with one another in Baghdad, in a grand intellectual enterprise, using Arabic as well as reason, the universal language. What Muslim thinkers were creating was a science that was embedded within an Islamic cosmos. This is a reminder that science is never without a cosmology—there’s no such thing as a metaphysics-free science—whether that be a religious, philosophical, or secular-materialist. One of the greatest achievements of Muslim thinkers, in my view, has had a profound effect on the development of science in later cultures. Muslim thinkers demonstrated how faith and philosophy, religion and science, revelation and reason could not merely co-exist, but thrive together in harmony within a monotheistic cosmology. (See Ibn Rushd’s Decisive Treatise, كتاب فصل المقال في ما بين الحكمة والشريعة من إتصال). There are certain fundamental incompatibilities between science as expressed in Aristotelian philosophy and revealed religion—for example, the issue of the creation. Aristotle’s view was that the world has always existed, that it has been in a state of perpetual change. (He was, no doubt, thinking of the paradox of beginnings: how could anything ever get started, when every starter itself must have a starter? With the motions of the spheres, he could stop with the Prime Mover, but that option was not satisfactory to him where the existence of the whole cosmos was concerned.) In Islam (and the other Abrahamic religions) the universe was created by an eternal self-existent creator God. Muslim philosophers such as Ibn Sina and Ibn Rushd showed how both points of view could be true. 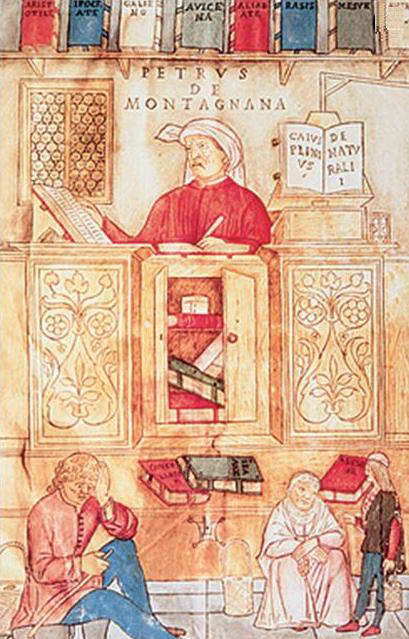 Well, without these philosophical tools from Islamic philosophy, Christian philosophers, such as Thomas Aquinas, might not have been able to accomplish the same type of reconciliation between reason and faith for Christianity, and thus science might not have developed in Christian society when and as it did, and the history of science would have been very different. In medicine, the Islamic principle that God, the Creator, placed purposes in everything, helped to advance the study of anatomy and physiology. In the first place, this idea made Galen the favored Greek physician, whose treatise On the Usefulness of the Parts was an extended effort to show how the Divine Wisdom is manifest in bodily structure and function. Moreover, the legacy of Islamic medicine to Europe was more than just hospitals, surgical tools, and medical theories, etc. There was, I believe, something even more significant for the development of science that came with the medicine: the whole empirical attitude toward nature that reached maturity under Islam. Medicine is essentially empirical, and is a model for how practical sciences actually work, as it shows how the empirical and the rational must work together in the creation of new scientific knowledge. To adapt a famous quote by Albert Einstein: “Theory without empiricism is lame, empiricism without theory is blind”. The original quote, “Science without religion is lame, religion without science is blind,” would be appropriate in this context, since the dyad “science and religion” was a live issue for Muslim thinkers of all fields and in all periods. Western science before the “reawakening” in the 12th and 13th Centuries was notoriously slanted toward the theoretical at the expense of the empirical, although with a few important exceptions. 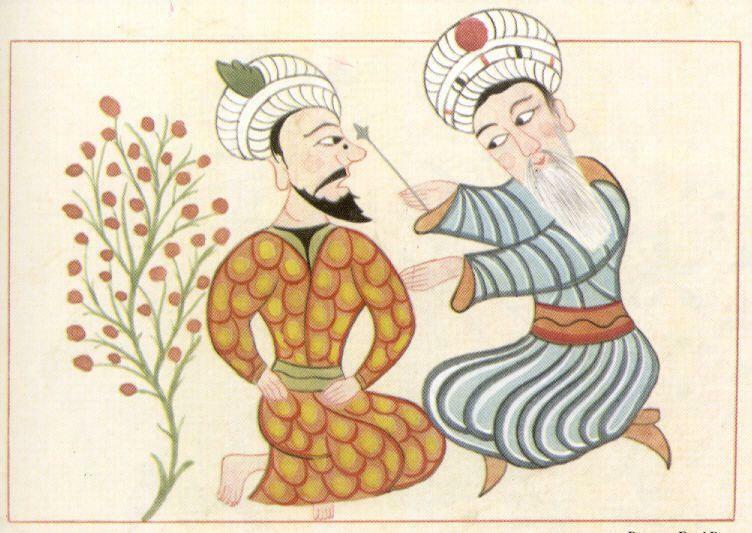 As I am trying to demonstrate in my own research into Islamic astronomy and medicine, these tools, when appropriated by Western thinkers, spurred the development of science at a crucial time. Basically, physicians required the empirical data of the stars to assist them in giving prognoses for patients in a kind of scientific astrology—a kind of astrology that was distinctly removed from the superstitious sort of astrology, and so within that medical-astrological context, the relationship between theory and practice became highly developed. To conclude, in presenting significant historical Muslim contributions to medicine, Dr Rabie has invited us to assume a perspective on the history of medicine that has not been the popular or dominant one. He invites us to follow him to a vantage point where we can see that, within Islamic civilization, the fundamental tenets of the religion harmonize with the fundamental principles of scientific method. From that perspective it seems that there should be a natural affinity between Islam and science, one that is closer than that between science and any other religious tradition. How, then, can we account for the well-attested conflicts between science and religion that have occurred historically? If Dr Rabie is correct, then such conflicts can be shown to have been motivated by political and social factors, rather than by purely scientific or theological ones. Dr Rabie’s achievement reminds us that a responsible history of science must not only keep track of these multiple factors for the culture and period under investigation, but must also attend to they ways that these factors interact with one another. If we do this, then many of the misconceptions about the historical relationship between science and religion will evaporate. Attending to these details will also help us to avoid projecting the issues of our present age back onto the subjects of our study. This includes discarding “grand narratives” about the history of science that center on the West and its supposed destiny, while minimizing the pivotal contributions of Islamic civilization, without which world science would not have become what it is. Thank you.